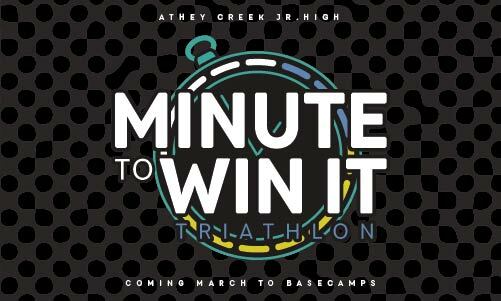 The activity for Basecamp this month will be a Minute to Win It Triathlon! You won’t want to miss this fun time of battling your friends to see who will be the fastest to complete each game in a minute or less! All Basecamps run from 6:00pm-8: 30 pm and are free! Show up with your Bible and have fun!